The CF-30-OMT-USB-27W is a high resolution, industrial grade touchscreen display designed for operation in environmental conditions where a costly, MIL-qualified/hardened display is not required. 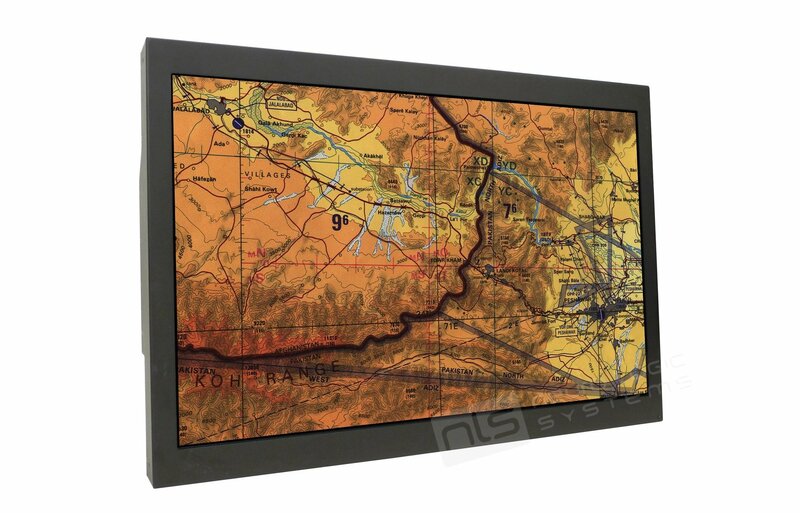 The 30” LCD panel with 2560 x 1600 WQXGA pixel resolution and 1.07B (10-bit) color depth makes this display well suited for ground control, mapping, training and general shelter applications. The proprietary LED backlight system features 1000:1 dimming over two ranges with adjustment below 1 cd/m2 for NVG compatibility. An optically bonded Optical Multi-Touch touchscreen and 3-port USB hub are standard. • VGA, Dual-Link DVI and HDMI video support standard.